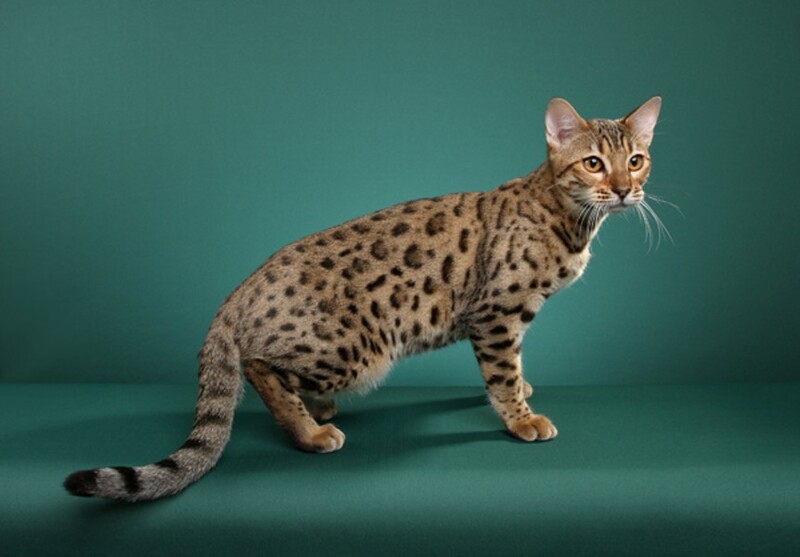 Exotic-looking cats are increasingly popular in the Bay Area. Are they dangerous — or just wildly misunderstood? Diana Starr, Starrlight Photography A Bengal from Bangle's Bengals. Kris Gunderson lost three cats in less than two years. The 62-year-old Los Altos resident often adopts cats with serious medical issues from the Humane Society Silicon Valley — where she is the manager of volunteer programs — since she knows the sick ones are less likely to be adopted. After three of her cats died in such a short period of time, her adult children started nagging her about when she was going to get a new cat. "Finally, I said, 'I'll tell you what — I'll get another cat when a pure-bred Bengal comes into the shelter,'" Gunderson said, referring to the breed that's a cross between a wild Asian Leopard Cat and a domestic cat. Sure enough, three days later, a family showed up at the Humane Society with a Bengal, marking only the second time Gunderson had ever seen one at the shelter in her thirteen years on the job. The owners said he wasn't getting along well with another cat in their home. "Be careful what you throw out into the universe," Gunderson joked. In December, Niko, a five-year-old male Bengal, became the newest member of her family — one unlike any cat she has owned before. "It's very much like having a toddler in your house. They get into everything, and I mean everything," she said, noting that the cat with dog-like qualities once managed to open up a Tupperware container with food inside. "They are very mischievous ... and totally fearless." "I have to say," she added, "I adore him." Gunderson's love for her Bengal touches on a growing tension in the pet world surrounding these rare, expensive breeds that are made to resemble wild animals. Bengals and other comparable breeds have become increasingly popular, largely because of their exotic features, high intelligence, and lively personalities. But critics argue that profit-driven breeding is irresponsible, and that owners who purchase these cats are often unprepared for their behavior and uneducated about possible challenges. Coming from a rescue background, Gunderson said she does not support this kind of breeding and would never purchase a Bengal. In the Bay Area, there are a handful of catteries dedicated to these specialized breeds. Owners emphasize they are domestic and safe, and not actually "wild" or "exotic" (especially when it comes to legal definitions). Some scoff at the "exotic" label, arguing that it's misleading and fueling their critics. Others, however, seem to embrace it in their marketing. Regardless, these cats do have wild roots and are exotic in terms of their physical appearance and demeanor, which can make them appealing to those who are looking for something different. 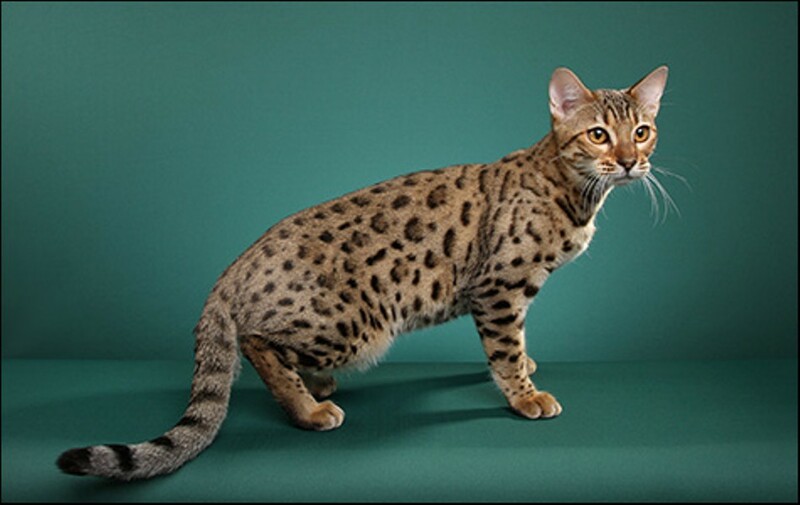 In addition to Bengals, which the International Cat Association formally accepted as a breed in 1986, other examples of this type of cat include breeds like Savannahs, Toygers, and Jungle Bobs. Local breeders said interested buyers come from all over the country, and some waitlists have gotten long in recent years. Savannahs, which are descended from the African Serval cat, have been bred "to gain the wild look with the domestic behaviors," said Brigitte Cowell, who runs a home-based cattery called Kirembo Savannahs in San Francisco and is also the co-founder of Savannah Cat Rescue, a volunteer group. Cowell owns five Savannahs herself, including one breeding female. Last year, she adopted out a few dozen Savannahs through her rescue organization and sold two kittens for about $2,000 each through her cattery. The first-generation cats, known as F1 Savannahs, typically cost between $7,000 and $10,000 — sometimes higher, she noted. The breed gained formal recognition in 2001. Savannah Cat Rescue advertises its adoptions on a Yahoo group that has nearly 10,000 members — a number that Cowell said reflects the high demand for the breed. "Part of the appeal of the breed is that it's a really cool-looking cat that's very active and very interactive and makes just a really great companion," she said, noting that Savannahs can fetch toys and go on walks with a leash. "They want to play." Though "they're not for everyone," Savannahs are not dangerous, Cowell said, adding that another common misconception is that the cats are very large. While they are generally taller than the average house cat, Savannahs can vary in size. She's wary of buyers who want assurance that the kittens will grow to a certain height. "That's usually my first red flag," she said, "because then I think, what happens if the cat doesn't grow to the size they want? It's concerning." "Their rise has been meteoric. [Bengals] are an extraordinarily popular breed," said Bangle, who is also a regional director for the International Cat Association. She has frequently spoken out against legislation aimed at adding regulations and restrictions to Bengals and other breeds. Critics, she said, paint these cats as "super-predators that are even more dangerous than your run-of-the-mill feral cat, which is absolutely untrue." In Benicia, husband-and-wife duo Nicholas Oberzire and Diane Kush run Styled in the Wild, a small cattery that exclusively breeds Toygers, which are cats that resemble baby tigers and are descended from Bengals. "The benefit of the Toyger is really this amazing personality," said Kush. "There's no doubt that the Toygers are just gorgeous ... but it is really their personality that outshines the majority of cats. They really become a part of your life." They're as intelligent as raccoons and as loving as dogs, she said. People sometimes get concerned when they see her out with a Toyger in an open basket, but she said her bond with the cats is so strong that she's never worried about them running away. The couple owns about two dozen Toygers and has been breeding them for the last five years. They sell Toyger kittens anywhere from $1,000 to $5,000. Oberzire said that Toygers, which the International Cat Association first recognized in 1993, have been bred to be docile and non-aggressive. "Anything that was mean was never bred back." As a result, he said, Toygers are friendly and outgoing — and make for great house pets. Oberzire added that they're also very smart, and that none of their adoptions has ever resulted in a family wanting to return a Toyger. "I would question anybody who was getting into breeding animals of any kind — period," said Allison Lindquist, president and CEO of the East Bay Society for the Prevention of Cruelty to Animals. She noted that breeding can sometimes lead to health problems for the animals, especially if the central purpose is to establish a specific look. "The loser is always going to be the animal. That's what's heartbreaking." No matter what, she added, "People should really do their homework before they take in any animal. It's a lifetime commitment."